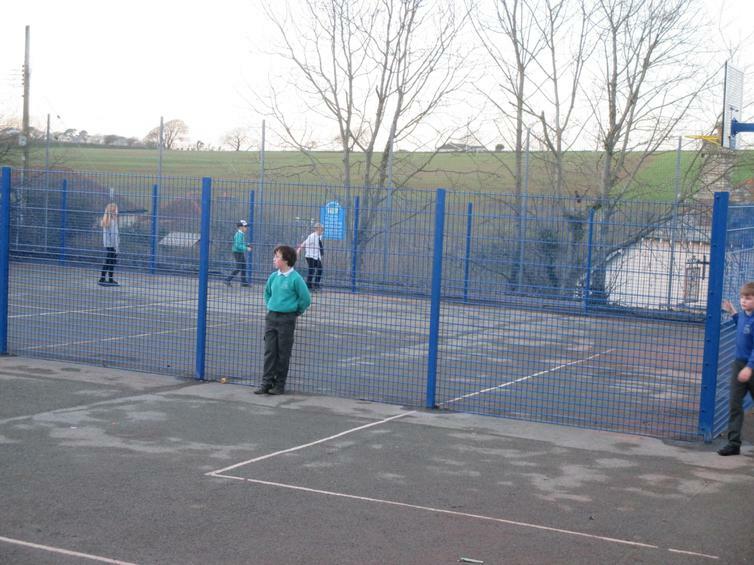 The construction of our new MUGA (multi-use games area) in the key stage two playground was completed today. The children attending after school club were lucky enough to use it this afternoon. The rest of the children will get a chance to score some goals or shoot some hoops over the next few days. 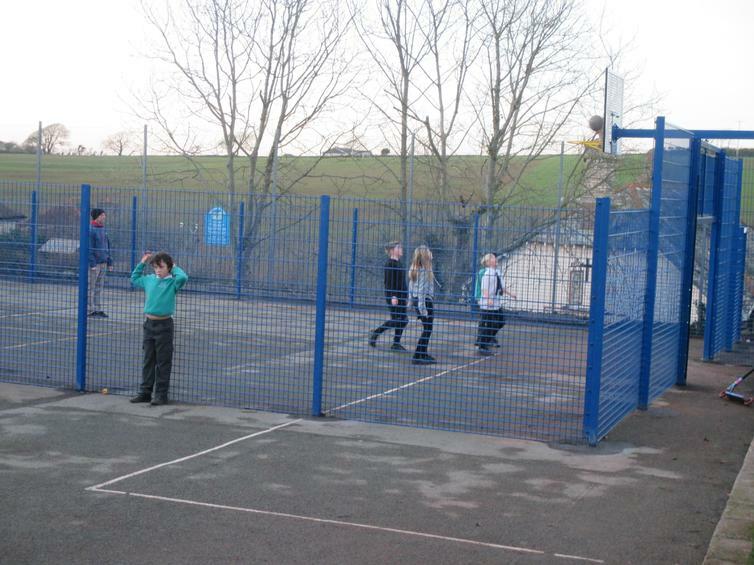 The area can be used for football, basketball, hockey and netball. Although the playground hasn't been resurfaced, we are in the process of gaining quotes for this to be completed in the next few months. 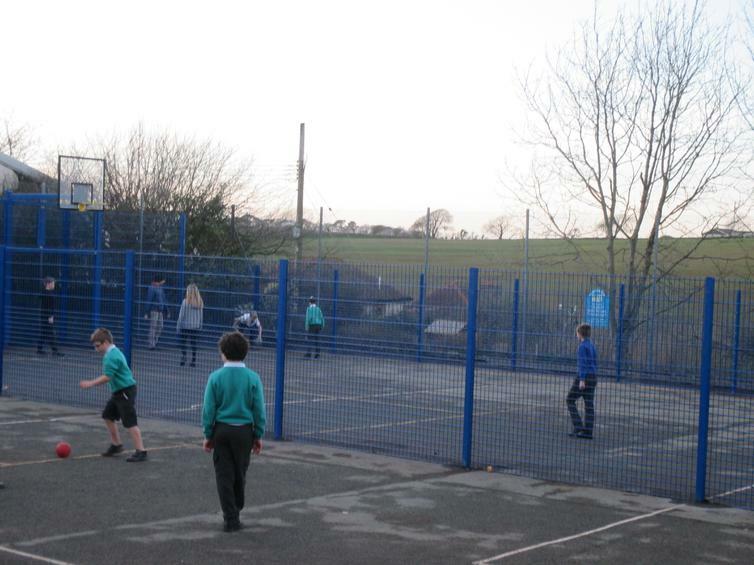 Hopefully the whole playground will be re-surfaced and new markings will be put inside the MUGA. This brilliant new facility will enhance our PE provision but also provide much better experiences for the children at play times and lunch times.